The 2012 Major League Baseball (MLB) regular season has ended now and there has been much debate over the American League (AL) Most Valuable Player (MVP) Award. A large crowd believe that Miguel Cabrera, who won the triple crown, should hands down be the winner of the MVP award. Theres also another large crowd believe that Mike Trout deserves the MVP award because his Wins Above Replacement (WAR) is far higher than any other player in the AL. I tend to do my research before I come acrossed who I believe should win each award. In this article I will pick who I believe should win the MVP award in both the American League and National League (NL). I will also choose my Cy Young award winners and Rookie of the Year awards (not as easy as you believe) for both leagues. This one is pretty obvious. I was surprised that Trout didn’t start the year on the major league squad after seeing him perform and breakout this season. Trout started in CF for 139 games this season. He hit .326 with an .399 on base percentage (OBP) and a .564 slugging percentage (SLG). He knocked out 30 home runs (HR) and 83 runs batted in (RBI’s). He also managed 35 extra base hits. These are monster numbers for anyone let alone a rookie. Anytime you’re being mentioned for the MVP award it’s easy to hand you the Rookie of the Year Award. This one is a lot more wide open depending on what the writers look for in a player. With Bryce Harper, the phenoem, getting all the attention I was sure he’d be the one to win this award but he has struggled finishing the year and his batting average slipped to a .270 leading for other rookies to slide in there. Where the line is drawn for what is considered a rookie is where I struggle with this award. If Lance Lynn is still considered a rookie I think this award is his. The problem is that he is NOT eligible for this award. The guy went 18-7 with a 3.78 ERA and a 1.32 WHIP. He also struck out 180 batters thrugh 176 innings. He threw 34.2 innings last season after being called up on June 2nd. He exceeded the maximum 45 days but hey at least he won a ring! I had a similar arguement with Paul Goldschmidt but I believe he is not eligible either. If that’s the case it comes down to a three man race in my eyes. You have Todd Frazier, Bryce Harper, and Wade Miley. It’s easy to compare the numbers of Frazier and Harper as position player. Harper hit .270 with a .340 OBP and .477 SLG. He also hit 22 HRs, 59 RBI’s and stole 18 bases. Frazier has similar numbers with a .273 average, .331 OBP, .498 SLG, with 19 HRs and 67 RBI’s. Harper does have a higher wins above replacement at 5.0 compared to Fraziers 1.9 but I believe Frazier edges out between the two. Wade Miley is a picher who won 16 games this year with a 3.33 ERA and a 1.18 WHIP. He also struckout 144 in 194.2 innings. His WAR was a 3.3. There are three pitchers who I believe could win this award and I would be happy with it. David Price, Justin Verlander, and Jered Weaver. These three pitchers were the only three who had a sub-par 3.00 ERA. Price 2.56, Verlander 2.64, and Weaver 2.81. Price and Weaver both tied for the league lead with 20 wins while Verlander had 17. Price and Weaver only managed 5 losses to Verlanders 8. Verlander lead the league with 238.1 innings pitched and in strikeouts with 239. Price managed 205 strikeouts which was 6th in the league and Weaver had 142 which was tied for 24th. Price pitched 211 innings as well to Weavers 188.2 innings. Weaver led the league with a 1.02 WHIP followed by Verlander with a 1.06, and Price with a 1.10. Their numbers are very similar but my choice is David Price. His overal numbers led him tied 1st in wins, 3rd in WHIP, 1st in ERA, 6th in strikeouts, he went above 200 innings in 31 starts and he a 6.4 WAR which was second to Verlander with a 7.5. I believe Verlander will win this award again slightly because of his WAR and because his team made it to the playoffs while Weaver and Price did not. My vote would go towards David Price. In my head this award is well deserved for one man. R.A. Dickey was a workhorse this season for the New York Mets. He led the league in innings (233.2), strikeouts (230) and was second in the league with 20 wins behind Gio Gonzalez (21) whom pitched for the Washington Nationals, the best record in baseball. Dickey also had a 2.73 ERA (2nd), a 1.05 WHIP (3rd), and a 5.4 WAR (3rd). It’s hard not to vote for this guy on a team who went 74-88 this season. He won more than a fourth of their games this season. Perhaps the award with the most attention and most debate has been the American League MVP. Sabermetic die-hards are picking Mike Trout with his amazing 10.7 WAR. Baseball traditionalists are going with Miguel Cabrera who won the triple crown this season. Then there are the large majority of people who are stuck in the middle. Who do we vote for? The prime numbers are very similar but let’s break it down even more. I give the award to Cabrera. In my eyes it’s amazing to outlast the entire league and win the triple crown for an entire season. Trout missed the beginning of the season in AAA and who knows if he would have won the triple crown or not but Cabrera did. Another factor I like is the walks to strikeouts. Trout had a 1:2 ratio of walks to strikeouts. That is not very good especially for a guy at the top of the lineup. He was 17th for most strikeouts. Cabrera was one of six guys who had more than 60 walks and less than 100 strikeouts. That is an impressive number for a power hitter who is paid to drive runs in. Andrew McCutchen had a great season for the Pittsburgh Pirates and for a majority of the season carried his team to fighting for a playoff spot. The team fizzled out at the end. Buster Posey, who may be the rumored favorite, had a great season and led his team to the playoffs after the top hitter on the team, Melky Cabrera, went down for getting busted with performance enhancers. But my pick is neither of these two. My pick is Ryan Braun. Braun was third in Batting average (.319) behind these two and was fourth in on base (.391) behind Votto, Braun, and McCutchen. Braun led the league with 41 HRs, 108 runs, and finished 2nd in RBI’s (112) and Hits (191). He also finished the year with 30 stolen bases which was good enough for 9th place. He was the only player other than Mike Trout to post a 30:30 season of thirty home runs and stolen bases. He also finished third in WAR (6.8) behind Posey and McCutchen. Braun overal performance in every statistical category is the reason why he deserves to win this award once more. 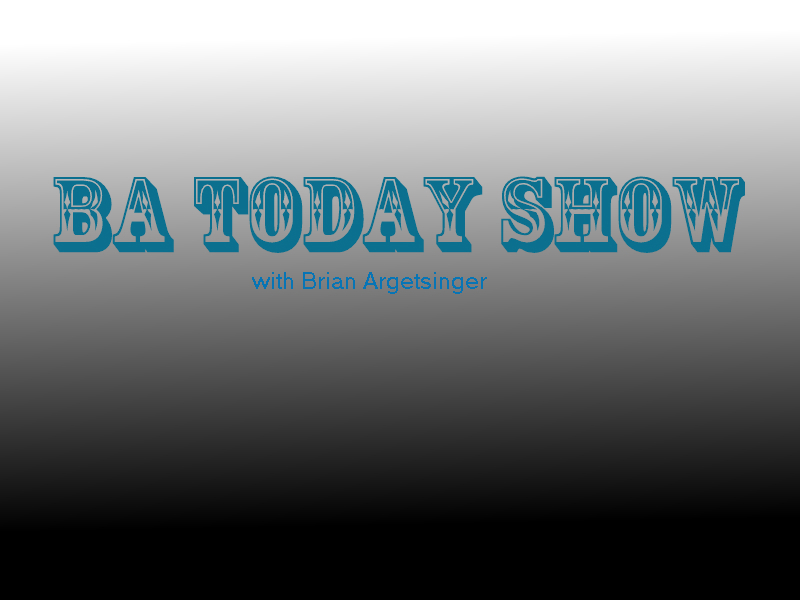 The newest BA Today Show Podcast —-> Check it out and let us know what you think. Cubs sign Soler, will he feast or falter in the Cubs farm system? Discussing current and past prospects of the Cubs organization. New podcast available from two of your chair members discussing sports & entertainment. We are looking for approval from Itunes and waiting to be confirmed. If/When that happens we will be available to be downloaded on there as well. I just thought I needed to post this. Yan Gomes when to my school, Barry University, and excelled there playing baseball. Yesterday he was called up to the majors and went 2-3 at the plate. He is now the second player from Barry University that has gone pro. 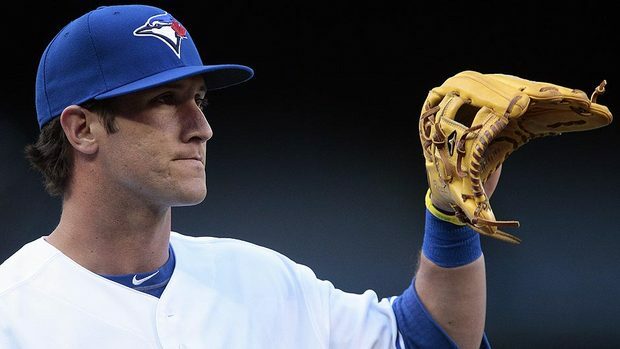 I wish him the best of luck in his career and hope the Blue Jays keep him up on the main roster.